The primary purpose of the underwriting process is to determine the level of risk involved in lending, with a particular focus on the risk of an applicant ‘defaulting’. Before an application for a mortgage is approved, it will be assessed by a mortgage underwriter, who will consider whether or not the application meets their criteria. Most underwriters are concerned with the three C’s of underwriting – credit reputation, capacity and collateral – and by analysing things like past behaviour, they are better equipped to make a judgement on the likelihood of an applicant fulfilling their obligations. From there, they can make a decision on whether to approve an application. 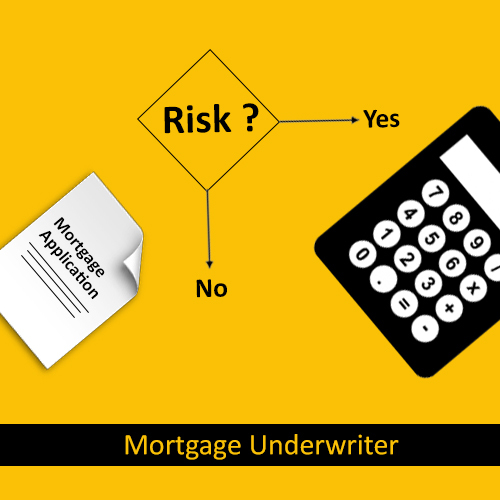 But how exactly does a mortgage underwriter analyses the level of risk an applicant poses? The first and most obvious way an underwriter will assess risk is through the information willingly provided in the mortgage application itself. Things that will be of particular interest are the age of the applicant, their employment status and income, the loan amount they are applying for and the number of earners in a household. Through this information, an underwriter will already be able to form an idea of whether an applicant can realistically afford the mortgage they have applied for. In addition, application forms can often raise certain warning signs, such as a recent switch to self-employment, or major lifestyle changes prior to applying. Credit checks are one of the most important tools available to those working in mortgage underwriter jobs, allowing credit data to be cross-referenced against claims made during the application, and providing the underwriter with a basic image of an applicant’s attitude towards credit. Of course, most importantly of all, credit checks also flag up any previous issues an applicant has had with other lenders, such as past foreclosures, judgements or bankruptcies. Indeed, a poor credit rating alone can be sufficient cause for an underwriter to refuse a mortgage application, as it reflects badly on ‘character’. Finally, bank statements are often scrutinised by underwriters, to check the validity of claims made during the earlier stages of an application, including those about income and spending habits. They can also be used to check for certain activities which may be viewed with a level of suspicion, such as excessive gambling. “Frequent gambling suggests a lack of self-control,” warns Samantha Cordon from MortgageSolutions.co.uk. “We have seen lenders reject applicants for having regular items on their bank statements, such as payments to William Hill,” adds Mark Harris, from the mortgage broker SPF Private Clients. Looking at bank statements give an underwriter an overview of an applicant’s transactions and may reveal other concerning trends. For example, if they are regularly receiving money from an undisclosed source, such as a parent, it may hint at a lack of financial responsibility. Analysing bank statements also allows an underwriter to get a clear and accurate idea of whether an applicant can afford their mortgage payments on top of other monthly outgoings.